Manehattan Update #37: Security Redoubt 43-A (Player House 1) Revealed! Good Thursday to you all! Novel Idea here with your weekly GoE update! Today, we’ve got something special. 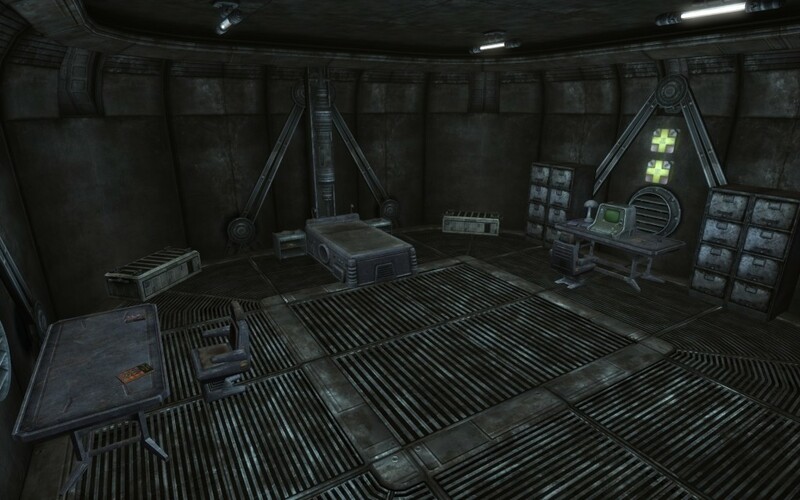 While we’re keeping a vast majority of the immense Rock Farm under wraps until launch, I’ve decided that you should get to see one particular part of it…the Security Redoubt 43-A, better known as the Rock Farm Security Bunker! Each major MWT installation had some sort of security bunker on or near the premises. These Redoubts were designed as a command and control point for Equestria’s military forces if one of the Princesses or Ministry Mares was caught in one of the facilities during a major crisis. Sadly, none of these individuals were at a MWT facility when the bombs fell. As such, bunkers such as the one in the Rock Farm remained uninhabited. While many of these places fell into disrepair as their associated facilities failed, the Rock Farm was unique. 43-A remained in fully operational status, though the communication lines, which were designed to go through the unfinished Stable 207 nearby, were never connected into Equestria’s military network. 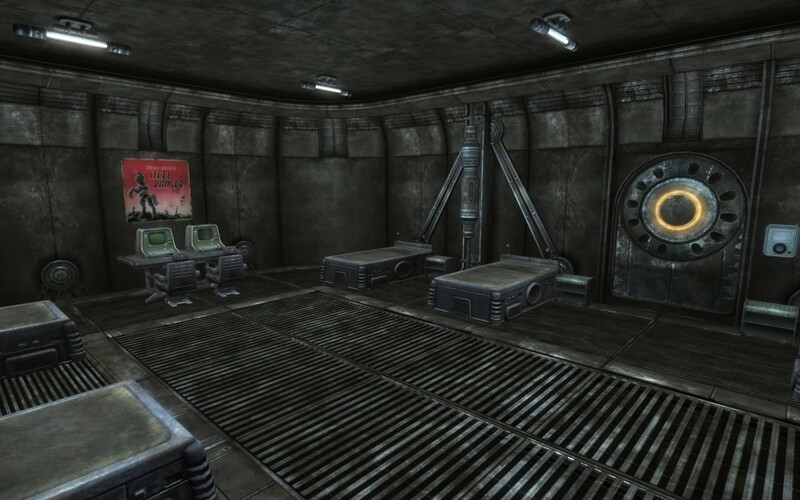 As with all MWT Redoubts, the Security Bunker is outfitted with some of the most advanced technology developed at the Rock Farm, including a small dormitory, CO’s quarters, a dining mess and storage facilities. 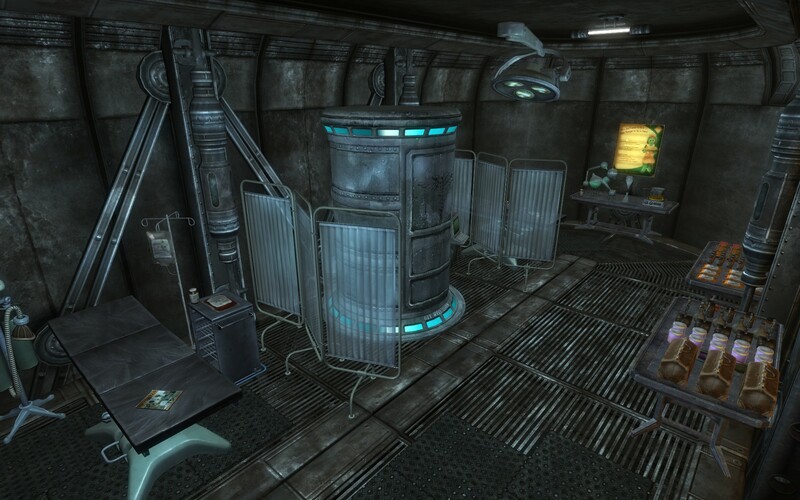 Due to the Rock Farm’s liaison work with the Ministry of Peace, the Bunker was also outfitted with the powerful Autonomous Healing Booth Mark III and a fully stocked medical bay. This healing booth not only can entirely heal a body of radiation and crippling injuries, but even had the full cosmetic subroutines unlocked for reasons that are still not entirely clear. Now that the tour is complete, let me tell you why I’m showing this to you! As you likely may have guessed, this is indeed one of two player housing locations available to you in GoE: This Coming Storm! Both the Security Redoubt 43-A and Stable 207 will be available as player homes. The Security Redoubt will also include a teleportation matrix talisman, allowing the player to return there at any time. From here, you’ll also be able to explore most of the Rock Farm if you happened to miss something inside. You’ll also find powerful upgrades for all of your companions within, provided as the spoils of war for helping end the threat located deep with the Maneframe Nexus of the Rock Farm, as well as special equipment for you and you alone. Now with a special strawberry and carrot taste! And finally, some of you may notice a couple things. First of all, why does the Bunker look so different from the rest of the Rock Farm? 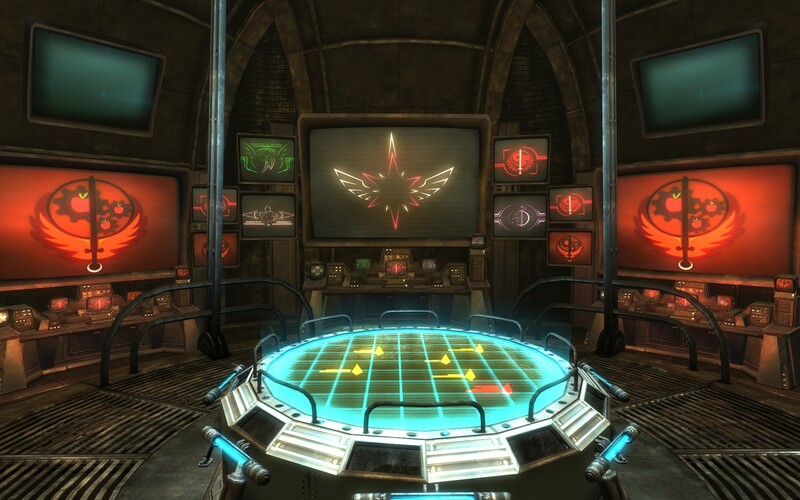 Secondly, doesn’t the War Room look somewhat familiar? Well, all Security Redoubts were built with the same general design schematics, while each of the associated facilities were designed to the needs of the facility. So it’s not unusual for a Security Redoubt to have a different design aesthetic. But you likely know the real reason. That’s right folks…the reason the War Room looks so familiar is that it is indeed the bridge of the EHS Nimbus, back before GoE became GoE: This Coming Storm. I was very sad when this epic mission and epic ship got cut for time, so I decided that it needed to live on in some way. 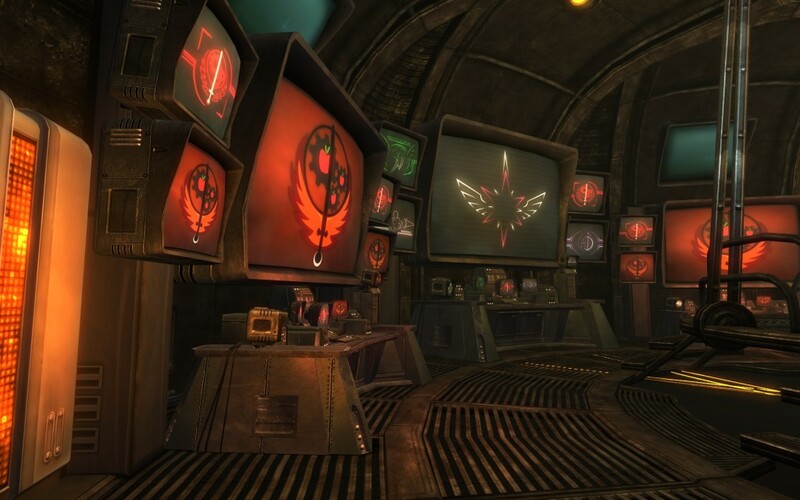 And considering how this was originally designed as the Enclave command center from Fallout 3, the idea just fell into place! So the Nimbus lives on in GoE, though in an underground, non-Enclave way…though the whole non-Enclave thing will change the moment you step outside of the Bunker! That’s it for this week folks. I hope you’ve enjoyed your preview at the Security Redoubt 43-A…the Rock Farm Security Bunker, your rewarding for fighting through the harrowing depths of Installation 043 and making it through to the other side. But don’t worry, there’s still much more to come. So we’ll see you next week! The Manehattan Project Update #30: Steel Rangers, Audiobooks & Word Counts! Can you believe I’ve written thirty of these things? (Yes, I’ve written every one). And to think, all this started from an injury I sustained one year and two weeks ago. It’s amazing how life’s little twists end up sending you in a totally different direction. I never thought I’d become part of the FO:E Community. Hell, to be honest, I always liked the Elder Scrolls over Fallout (Fantasy is a bit more my typical fare). But now I get a little thrill when I’m scanning through the Reddits and see someone else mention the Manehattan Project and GoE. Heck, the FO:E Reddit Mods decided to even give us our own special “flair” (which I love and am extremely grateful for). But more than anything, I want to thank the Manehattan Project team, both past and present. Especially the past ones. It’s bizarre. I can actually see the finish line from where I’m standing. It’s still a ways off…but it’s there. And that’s due to the incredible talent who have decided (for some crazy reason) to throw their hat into this insane project that started from a concussion. …you know, that explains a lot. Anyhoo! Let’s get to the good stuff, shall we? First, I’m happy to announce that we have new artwork for you! Pretty freaking sweet right? This guy’s awesome. Seriously, epicly, amazingly, awesome. You can check out his dA here! In case you’re curious, here’s the “original” from Fallout. The above picture will be the replacement for both GoE 1 for Fallout: New Vegas and GoE 2 for Fallout 4. Now, I know we’ve dropped the ball on this one. I stopped posting the YouTube versions because I found a fair amount of flubs, repeated lines and errors in our version. With all that’s going on, the audiobook went by the wayside. But I wasn’t satisfied with the quality. You see, I’ve been listening to Audible audiobooks for years and years and years now, so I have pretty high standards when it comes to audiobooks. I wanted to give that same sort of experience. So I’ve listened to the book multiple times, taken notes and found every error (I hope). So next week, the fourth and final edition of “Fallout: Equestria (The Manehattan Edition)” will be released! This one will have many fixes (including removing that obnoxious “Footnote: Level Up” comment in the middle of Chapter 37). Every repeated line that I could find will be removed. We’re also including Corvus’s “This Coming Storm” song at the end of the Epilogue, just as Kkat originally intended as DJ-PON3’s last song before the Afterword. I’ve also redone the opening and ending (even going to the point of including my version of “Audible hopes you’ve enjoyed this broadcast” at the very end for those of you who have listened to Audible titles). The current plan is for the entire MP3 and M4B (Audiobook) formats to be released concurrently. I will be taking down all of the previous YouTube videos and replacing them with the updated versions. It will likely take me a bit to get all of those set up (That takes a TON of processing time, because they are actually movies). But now, there should be no more delays and no further updates. So if you haven’t had a chance to listen, next week is the time to start. Finally, we’ve reached a major milestone here at the Manehattan Project. As you may or may not know, I am our story scriptwriter. The only one, actually. Every line of dialogue and every action has been written by yours truly. Just yesterday, I finalized the last conversation in the Epilogue for Gardens of Equestria: This Coming Storm. While the general draft of this was done quite a while ago, there were some holes that needed to be filled. That’s it for this week folks. Look forward to the fourth and final edition of Fallout: Equestria (The Manehattan Edition) coming next week! Until then, have fun and stay safe! I hope you all are thoroughly enjoying Fallout 4. I’ve seen the headlines of various reviews and they look to be utterly spectacular. I’m really looking forward to getting into it, though as I said before, I get to wait a month to do it. It’s probably for the best. Between the work still remaining on This Coming Storm & NaNoWriMo, plus the insanely busy month this will be for me, adding Fallout 4 to the mix would just make things so very much harder. Still, I’m totally jealous of all of you playing right now. In case you missed it, in celebration of Fallout 4’s launch, we released a work-in-progress version of the ambient score for Topaz Lake. I think Corvus once again nailed it perfectly. I’ve never had someone get my “creative vision” and run with it so well before. Then again, since I’m usually a novelist, I rarely need to work with others. Believe it or not, it’s kinda hard sometimes to get everyone on the same wavelength. But it’s something I don’t need to worry about with Corvus. He definitely gets the levels I’ve designed and pumps out music that fits not only the area, but the story as well. It’s a rare gift and one for which I am incredibly grateful. I’m also happy to report that final level design has started again on GoE. With the utter chaos of the last few weeks, I’ve had to focus my attention elsewhere, but last night I nearly finished the lighting for the Rock Farm’s Sector 2: Administration, a unique level where players will get to discover just what happened at the Rock Farm when the megaspells began to rain from the sky. Here’s a little secret too: much more of the history and legacy of the Rock Farm is revealed within Dances of Light and Shadow. As you know, the Rock Farm is central to GoE: This Coming Storm and Appleloosa Valley in particular. 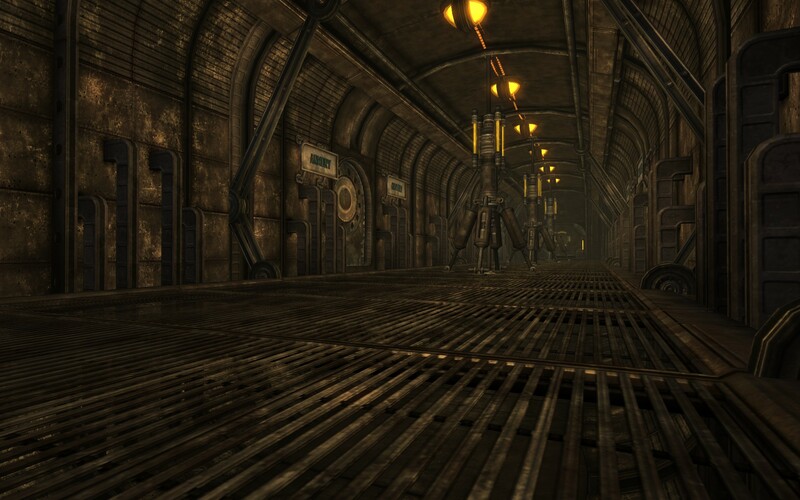 I’m very glad that I get to expand on the lore of the facility within this story as Littlepip and her companions delve into the depths of the secret Steelstone Security Facility and beyond. In fact, you’ll actually get to see some of the areas featured in Dances of Light and Shadow within This Coming Storm. But what I’m most looking forward to is the next level. 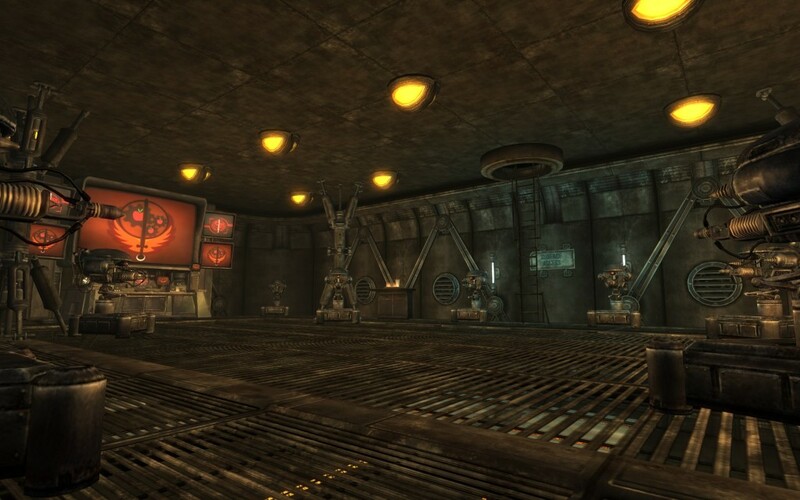 Sector 3 is the central hub of the Rock Farm’s research and development facilities. While satellite facilities existed in the Western Complex beyond Topaz Lake (and below Topaz Lake as well), all military research was conducted in this massive lab. Dominated by an immense MAS-designed power core, this vertically-designed level will feature many of the weapons and armor unique to GoE including those we’ve featured in Smuggler’s Run. Trust me, this place will blow your mind as to the sheer scale. It’s one of the areas that we’ve kept the screenshots under wraps for the most part, having only small tight-view pictures so you can walk into this place and get the full power of the combined efforts of the MAS and MWT. As for Smuggler’s Run, we’re planning on a massive update to Smuggler’s Run at the launch of GoE (and a minor update with several bugfixes in early December). Smuggler’s Run will actually be an integral part of GoE: This Coming Storm and we plan to set up an installer to make sure you have the current version. I should note that the This Coming Storm version of Smuggler’s Run will likely remove most or all weapons available in the preview mod and place them in their appropriate locations within the Rock Farm. We haven’t decided for sure yet, but we want these weapons to be completely unique. That’s all for us today, save for the mandatory and promised update to the YouTube version of the Fallout: Equestria (The Manehattan Edition) audiobook. Please note that we probably won’t have updates for the next two weeks. I personally have a special training I’m attending and of course the week after is Thanksgiving Weekend (I think). But we’ll update for the last week of November. I’ll also be redoing some of the music slides. For some reason, YouTube has made all the preview images super-grainy and I don’t know why. I’ll figure it out though. And I need to keep you appraised as to what’s going on with NaNoWriMo! Have a great day and stay safe out there! We edit this post with the very freaking epic Fallout 4 Launch Trailer! So the first question on your mind is probably “Did Novel actually start NaNoWriMo? Is he really that crazy?” Well, I’m 9,592 words in as of this morning. Which means I’m actually nearly 3,000 words ahead of the target. So yes, I am just that crazy. I have to say that this is probably the most challenging story I’ve ever attempted. Having to figure out how much to inform our heroes about what happened in Equestria is difficult. I feel like I’m waking several tightropes at once. However, this is not my first foray into a pre-existing universe. I’m happy to say that I’ve won some serious awards for previous engagements in other people’s worlds. It also helps that I am a devout fan of J. Michael Straczynski, the creator of the beloved science fiction epic, Babylon 5. And as many know, Kkat is as well. So interestingly enough, the stories seem to make sense to me. Cool news for those participating in Equestria Daily’s NaPoWriMo (National Pony Writing Month): We are offering up three “beta keys” to people who pass the 50,000 word mark! So if you want to see GoE: This Coming Storm early, get crackin’! (BTW, the picture for the cover is a temp version. I plan on totally redoing it). Anyway, enough of the story (though expect update throughout the month!). Let’s talk GoE: This Coming Storm! First of all, I’m happy to announce that our former Technical Director, Red Kat, has decided to return to the Manehattan Project as a technical consultant. Thankfully, some of the real life assaults have lessened somewhat, giving her a bit more time. In addition, Wolfie will continue as one of our primary scripters, having moved over from modeling to help us make this game possible. In addition, I’m also very happy to announce that we have yet another new member. This one is a personal friend of mine who’s decided to go under the name of Trench Broom (Trench Broom, in case you were wondering, is one of the nicknames for the famous “Thompson Machine Gun” better known as the Tommy Gun.). He’ll be joining us on the scripting side to help make this game happen, working directly with Wolf and myself. Trench Broom is a master of desenrascanço, his abilities honed over years spent in the trenches, cleaning up other people’s messes. After being fed up with the war, he retreated to a stable (which one, he refuses to say) and spent his time in silent contemplation until he heard the call of the Gardens of Equestria crew. He has been able to do a surprising amount of things, considering he has no hands or fingers, and the only magic he knows is “The Life-Changing Magic of Tidying Up”. – Build things out of spare parts he has laying around. Widgets, gadgets, any kind of –dgets, really. – Play games where choices matter; half playing and half reminiscing, but always thinking, “What could I have done better” either way. – Read self-help books due to stress from his choices always mattering. I have yet to update the Staff page as things have been a bit busy, but I’ll be doing it soon. We’ve decided to merge the technical team in with the design team, making things a bit easier. At the moment, we have two teams: Design and Audio. Art, modeling, scripting and level design all fall under design, while sound effects, music and voicework fall under audio. I’d also like to officially introduce Clanky4’s bio, who I mentioned a bit ago as being the epic modeler and animator behind the FO:NV Pony Mod recently released. 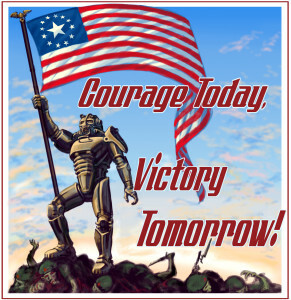 I have enjoyed the Fallout franchise since I was first introduced to Fallout 3. I can honestly say after meeting Trouble Man of The Pitt, my life was never really the same. At least until encountering Mr. House. He is truly the single greatest character in the entire Fallout franchise. I have modded a few other games such as Fallout 3, Star Wars: Battlefront 2 and Civilization 4 (clearly the best one). Generally converting and rigging meshes onto various skeletons. Even if they obviously weren’t meant to be there. Remember folks, we’re always looking for new talent. If you’re interested in helping out making GoE a reality, be it in scripting, voice acting, level design, artwork or PR, drop us a line at our Recruitment Page. Only one chapter this week folks. I’ve had a lot of trouble lately with iMovie not uploading correctly to YouTube (and making sure to take about an hour before actually erroring out). This week, Xenith enters the fray. I also apologize for the different pronunciations that I use instead of Crazed Rambling’s. You can find the latest chapter here. As many of you know this is going to be an eventful week. Many of us here at the Manehattan Project are huge Blizzard fans and several of us will be going to BlizzCon. (I for one cannot wait to see the full trailer for Warcraft. This movie is going to be freaking amazing). And you all know what happens next Tuesday: Fallout 4 is released! 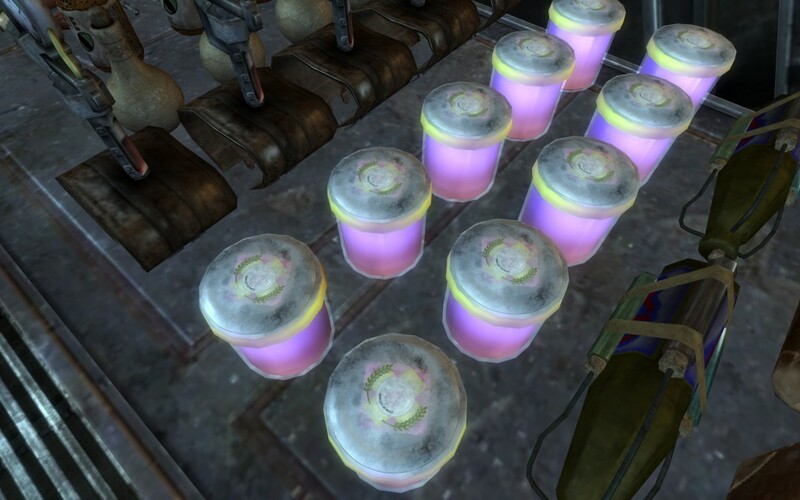 Speaking of spoilers, I recently discovered something about Fallout 4. It’s the only bit of information I actively sought out. However, I’ve decided to put it at the end of this post so (because at the moment, I can’t get the spoiler scripts to work right to hide it properly and the color trick isn’t working either). You’ll also get a little preview of some of the story planning for the end of GoE 1 and the beginning of GoE 2, plus Dances of Light and Shadow! 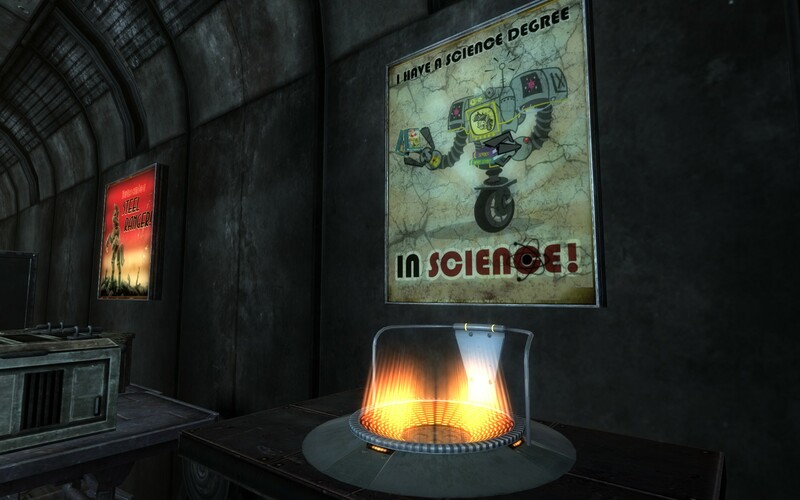 Tiny Fallout 4 Spoiler Alert: all it concerns is when the events of Fallout 4 occur in relation to New Vegas and Fallout 3. For those who are avoiding all spoilers, you should skip the next section. The Manehattan Project Update #19: NaNoWriMo? What? What by Celestia does National Novel Writing Month have to do with Gardens of Equestria: This Coming Storm, Fallout: Equestria or the Manehattan Project? Well, I’m here to tell you the answer to exactly that question. For the last five years, I have successfully won National Novel Writing Month, nailing 50,000 words in the month of November. I have done this through convention, the birth of two daughters, Black Fridays (though thankfully no more of those) and the general chaos of November. This year, I have most of that with the addition of Gardens of Equestria: This Coming Storm and the release of Fallout 4 (Though I need to wait two weeks for my French Pip-Boy edition to get here). So why in Celestia’s name would I attempt something as insane as NaNoWriMo now of all times? Well, as many of you know, I sustained an injury back in January. I’m still feeling the effects of it, but one of the major ones has been pain while reading or writing. I normally wrote most days (or at least tried to) and haven’t in a long time. I want to change that…and no better way than jumping in the deep end. In addition, it helps keep my mind in the world of GoE. So today, I’m announcing the upcoming novella “Gardens of Equestria: Dances of Light and Shadow.” (Name is subject to change). 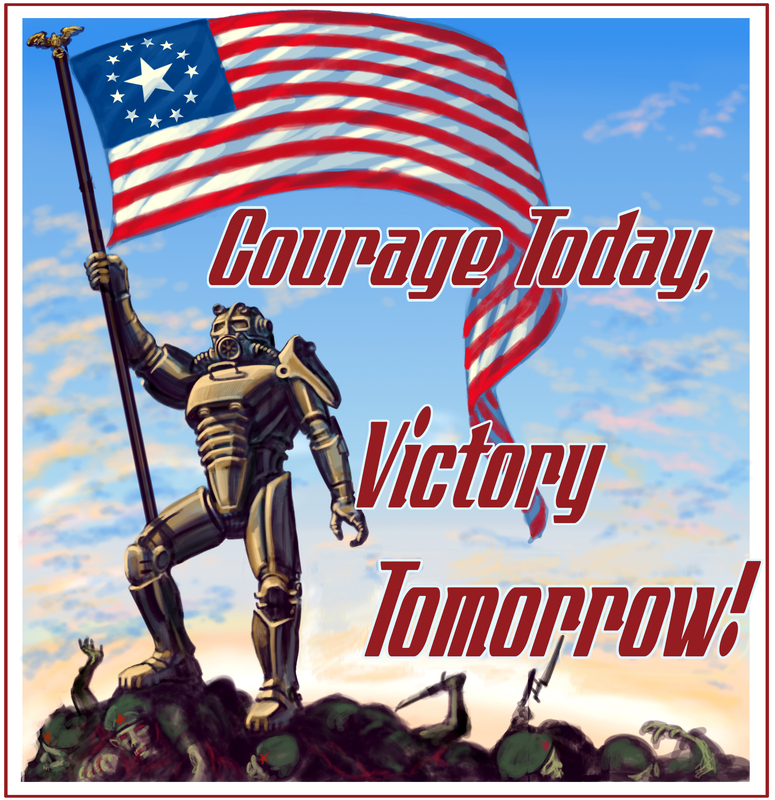 This story will bridge the gap between the events of Gardens of Equestria: This Coming Storm for Fallout: New Vegas and Gardens of Equestria: Racing Apotheosis for Fallout 4. This story will also explain how they traveled all the was from New Pegasus to Boston (anyone got a good Pony name for Boston yet?). You’ll actually get hints of this in Chapter 3 of “This Coming Storm” when you face Topaz Lake among other places. Now I hear you asking, “Really? Aren’t you just copying what Kkat did and doing it on Earth? And isn’t that essentially the story of Fallout 3 anyway?” Not quite, my friends, not quite. I could tell you why it’s different, but I don’t want to spoil “This Coming Storm” for you. Another thing…this story will not be released until after GoE: This Coming Storm comes out. (Which also gives me enough time to give it the proper polish). Don’t worry, that’s not all we have for you today! We’ve got the next three chapters of FO:E (The Manehattan Edition) up for your listening pleasure on YouTube! Check out the link to the main playlist below. Until next week folks, stay safe out there! We have a nice little treat for you this week in apology for us missing last week. For those of you who have read Fallout: Equestria…this might look somewhat familiar. And it’s just a hint of what’s to come. The Gateway Research Facility is one of the unique structures in Gardens of Equestria, special because it exists on both the Earth and Equestria side. On Earth, the GRF was built using reverse-engineered advanced technology. It was designed as both a bulwark and a research facility and hosts some of the most advanced technology the USA ever developed. On the Equestria side, it was a Ministry of Arcane Sciences facility designed specifically to study the spellwork of none other than Starswirl the Bearded. 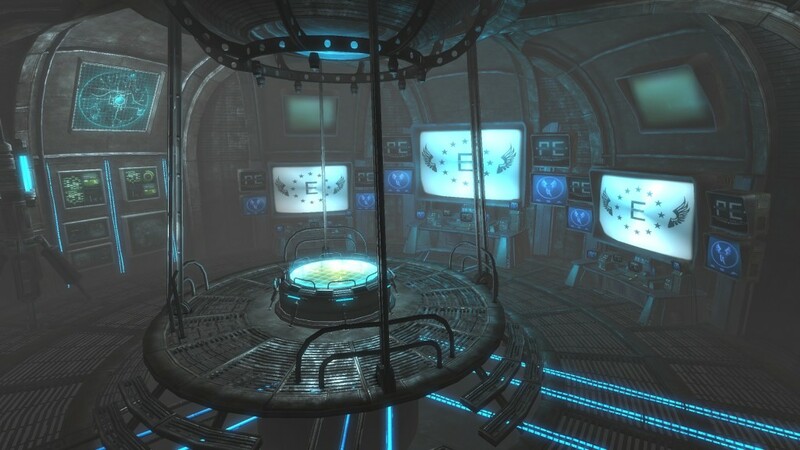 Unlike the Rock Farm, which was built primarily by the MWT (though funded by both the MAS and the MWT), the GRF was a top-secret facility run only by the very elite of the Ministry of Arcane Sciences. Equipped with advanced camouflage talismans, it was one of the few facilities that the enemy never knew about. What became of the GRF after “The Incident” will be for you to discover on your own. But here, you will find yourself in the midst of a war that threatens to destroy two worlds. To be honest, I’m having a ton of fun with this. It’s completely different and it definitely works. Gardens of Equestria: Smuggler’s Run Now Available for Fallout: New Vegas! Last night, there were sounds of explosions and minigun fire in the hills to the northwest of Goodsprings. Residents of the quiet town reported seeing something like a Steel Ranger slowly plodding through the foothills to the south. None of them have dared to investigate…but something definitely happened. Here at The Manehattan Project studio, we’ve been hard at work on this special project. It is our gift to you in celebration of the revelation Stable-Tec’s “Fallout 4” post-apocalyptic simulation experience. While we’re not fully ready to release our plans for Stable-Tec’s latest installment of the Fallout franchise, we are happy to announce that aside from releasing this new story-driven experience, we’re also releasing the new titles of Gardens of Equestria projects! That’s right folks, you’re not only getting one story-driven experience from the Manehattan Project, you’re getting two! We’re already working on what we’ll be doing in Racing Apotheosis with the all new Creation Engine. We can wait to show you what we have in store for you. It promises to be unlike anything you’ve ever experienced before from Stable-Tec! 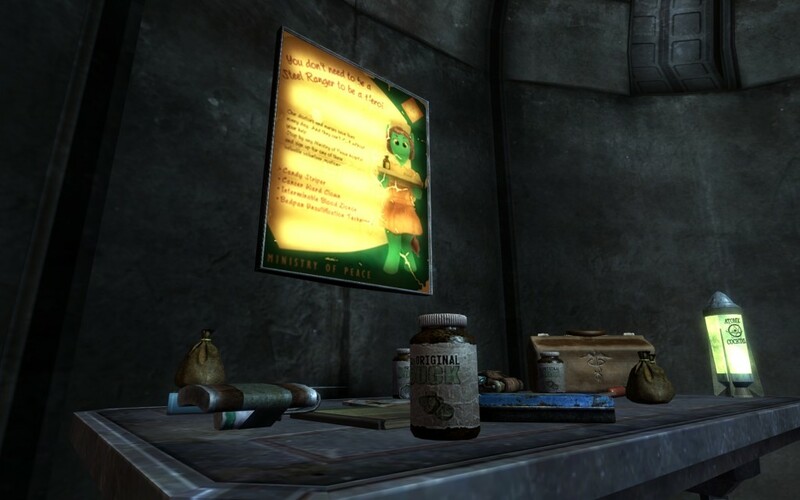 A hidden safehouse deep in the hills outside Goodsprings holds many secrets and few answers. 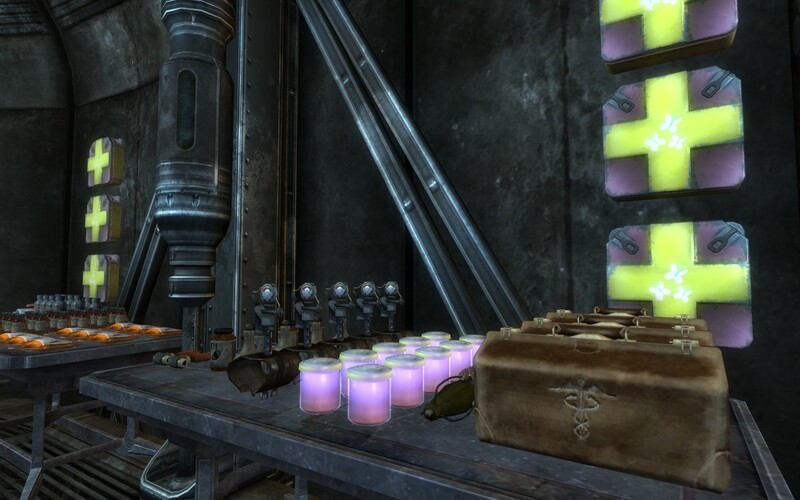 Locate some of the most advanced weaponry the Ministry of Wartime Technology ever developed and wield these fearsome weapons through your travels throughout the Mojave Wasteland! Three unique sets of armor, each with their own special trait, await you. 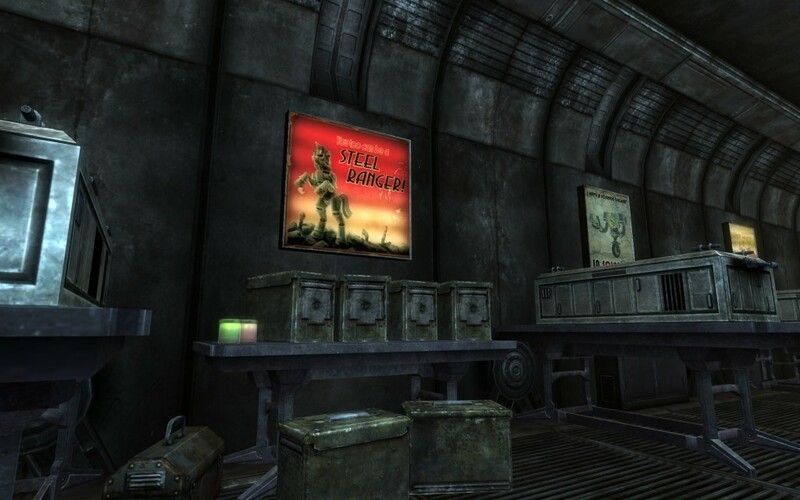 Find a way into the depths of the safehouse and discover a virtual treasure trove for those skilled enough to get to it. The distortions in reality have already started. Nuka-Cola has become Sparkle-Cola and Sunset Sarsaparilla has become Sunset Shimmer Sarsaparilla! And the changes aren’t limited to just the Safehouse. Many other items have changed as well, but you’ll have to discover the extent of the changes yourself. Who knows how far they have spread? Know that for every lock, there exists a key for those with keen eyes and nimble fingers. Custom music by Corvus Productions, made specially for Smuggler’s Run. (We’ll be releasing this for download on our SoundCloud site at a future date). But why read all about it when you can experience it yourself? Head on over to NexusMods.com and to the new “Gardens of Equestria: Smuggler’s Run” site and download it today! Don’t forget to leave us your comments either here or on the Nexus to let us know what you think! So it’s official. Fallout 4 has been announced. That being said, the only thing that’s really confirmed for certain is that it’s set in Boston. There are a great many implications made during the trailer, from a potential voiced main character to it being the Railroad vs. The Institute. But we can’t count on anything until the E3 Press Conference. So we’re holding off on speculation until then. That being said, you’re likely wondering what The Manehattan Project is planning with the announcement, since we’re already fairly early into development of Gardens of Equestria. We’re still talking about the details and I don’t want to give anything specific away yet (as we haven’t made the ultimate decision). A great deal of the decision will depend on when Fallout 4 is slated to be released (and even more so when the Creation Kit/GECK will be released). That being said, we have plans. But do know that no matter what, the Manehattan Project will be there for Fallout 4. So stay tuned for a special announcement on Thursday, June 25 (the week after E3). Welcome back to the Manehattan Project! I hope you’ll forgive the break in the Fourth Wall. So many of you have come by to check out Gardens of Equestria…well, let’s just say we should have done a better job of shoring that thing up. But we’ll leave that for next week. Instead, I’m going to give you a peek at what’s going on behind the scenes of the Manehattan Project and Gardens of Equestria. Before we go any further, if you haven’t already seen it, we’ve started to release “Fallout: Equestria (The Manehattan Edition)” on YouTube! Today we’re starting out small with the Introduction, the Prologue and Chapter 1: Out of the Stable. We’ve done some special custom artwork for this YouTube release, so go check it out! We’ll be releasing 3 chapters a week starting next week, so make sure to subscribe to either GardensofEquestria.com or our YouTube Channel to stay in the loop! In today’s development blog, we’ll talk a little about some of the in-development areas for Gardens of Equestria and give you some cool screenshots of things we have in store for you. You won’t be disappointed. But first, I realized that I forgot something very important when it came to designing this website. A Frequently Asked Questions page! We’ve had a lot of questions come over our various announcement channels. So let’s take a few minutes to answer some of them! What is Gardens of Equestria? Gardens of Equestria is an upcoming Fallout: New Vegas story-driven mod developed by The Manehattan Project inspired by the novel Fallout: Equestria. For a general list of some of the featured content of Gardens of Equestria, head to our Features page. What’s the story behind Gardens of Equestria? 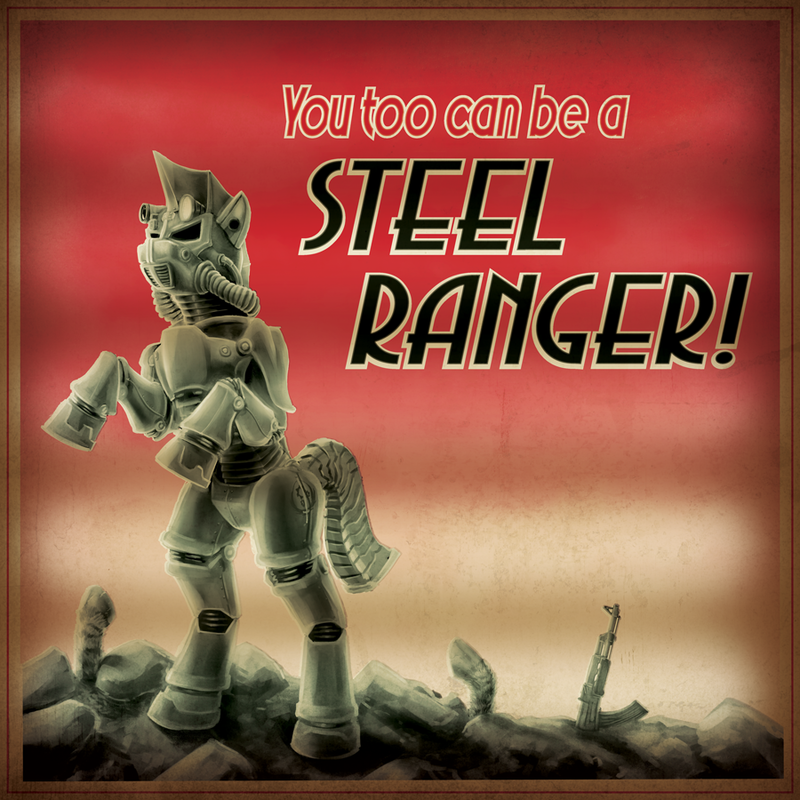 It tells a unique tale of the Mojave Wasteland partially merged with Equestrian as familiar heroes from Fallout: Equestria appear in another form in our world. Something has gone terribly wrong and it’s up to you as the Courier to figure out what happened and how to stop it. Will I be playing as a human or a pony? What do I need to play GoE? In addition, you will need to have the mods “Fallout Character Overhaul” and “Mikoto Hair Pack.” Normally these mods have compatibility issues, but we’ve managed to come up with a solution to that, so don’t worry. As of this writing, Fallout 4 is only a rumor. While we hope to port the GoE experience to Fallout 4 (whenever it is released), there are many factors in play. 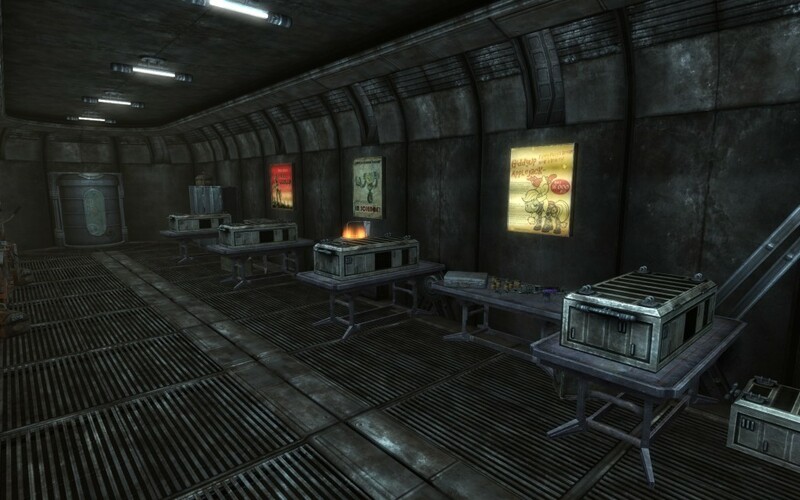 A fair amount of the game is based off of JHawk1666’s Pony Texture Pack Plus for Fallout 3. How much of that will translate to Fallout 4 is unknown. That being said, if it’s possible and feasible to bring Gardens of Equestria to Fallout 4, we will do it, though the story will likely end up being different and will likely take longer. Fallout 3 was originally released in 2008. While still an awesome game (that we highly recommend playing), there are some substantial differences between New Vegas and Fallout 3. We may release our weapons and texture packs for Fallout 3 at a later date. Isn’t Overmare Studios already doing this? From my understanding, Overmare Studios started out originally as a Fallout mod project, but then decided to move to the Unity3D engine as opposed to GECK/Gamebyro engine. This gives them a huge range of options and whole new possibilites (Seriously, check out their Firearms video. It’s amazing!). They’re dedicated to turning Littlepip’s adventures into a full-fledged game in the true Equestrian Wasteland. GoE is about the world of Equestria invading the human world and the repercussions and origins of that event. While there are similarities, they are two separate projects. Can I play as Littlepip? The core story of Gardens of Equestria revolves around the player as the Courier, who for unique reasons, is one of the few humans that remained unaffected by the mysterious reality shift. You’ll be the one at the front of the group this time, Littlepip and her friends by your side. Hey, why isn’t Littlepip wielding Little Macintosh? While you can give Littlepip Little Macintosh to wield, we decided that it would be more fun for the player if they got to wield the trademark Fallout: Equestria weapons rather than leaving them solely in the hands of your companions. Will I really be playing with five different companions throughout the game? 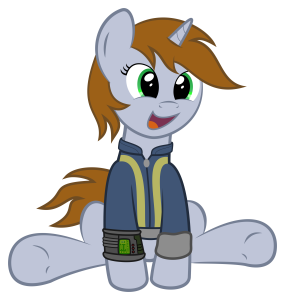 In Fallout: Equestria, Littlepip’s group grows over time as she discovers new allies. The same happens in Gardens of Equestria. In some missions, you will fight with one or two of your companions, while in others you’ll be fighting as a cohesive team. There will even be missions where you choose who joins you and who stays behind…and those decisions can have lasting repercussions for both you and your friends. Can I also play GoE with other companions like Veronica, Arcade or even Willow? The version of the companion extender we use is set to a maximum of five companions. The GoE Companions each have their own part to play in the story with their own fully-voiced dialogue. You will be unable to undergo the story missions without certain members of the GoE team. That being said, you can adventure with any combination you wish in the New Pegasus area for quests or areas that aren’t attached to the GoE storyline. What about Blackjack, Glory, P-21, Puppysmiles, Silver Storm/Hired Gun, etc? Are they going to be in Gardens of Equestria? At present, we do not have plans to include anyone other than the original Fallout: Equestria characters in GoE. When will Gardens of Equestria be released? Will GoE be compatible with [INSERT MOD HERE]? Can I help make this game? Of course! We’re always on the lookout for new talent to bring into the Manehattan Project. Check out our recruitment page to see how you can make this ambitious project a reality! Now that’s out of the way, I want to give you some screenshots from two new areas currently under development. Please note that these are still works-in-progress, so there’s a good possibility that they may change. 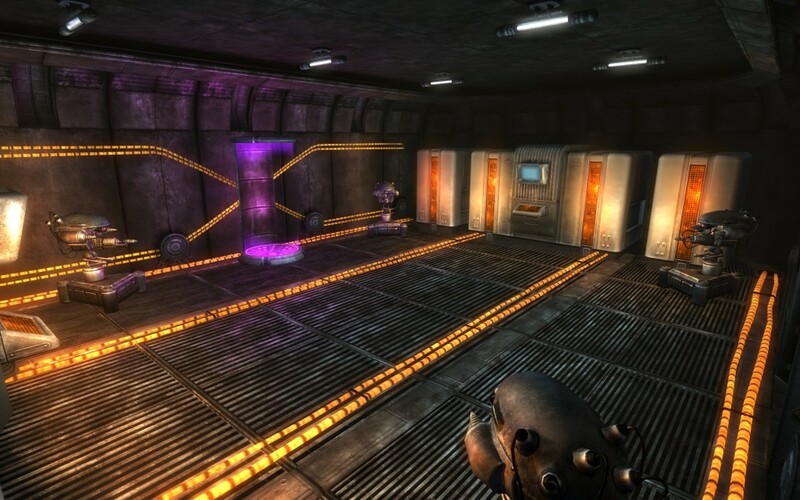 The first location is called “The Primm Basement.” In the quest “Strangers in a Strange Land,” you’ll journey beneath the town of Primm to an old mine and refinery plant beneath the town that was supposed to be sealed-off years ago. You’ll encounter hostile Powder Gangers here, but their attention will be focused on your first new companion, pinned down in a side room. After getting your new friend out of trouble, you’ll fight your way down into the depths of the mining facility…finding that Powder Gangers are the least of your worries as you race to save kidnapped townspeople from a new threat. The second location is from a much later quest, “Fire From On High.” Below you’ll get a better glimpse of the bridge of the EHS Nimbus, an Enclave Hovership with a terrifying reputation. Crewed by some of the most elite and dangerous soldiers the Enclave has, you and your companions will race against a ticking clock to reach its deadly cargo before it can destroy all of New Pegasus. Right now, this is my favorite quest line, save for maybe the grand finale. What we’ll be doing here will blow your mind! I hope you’ve enjoyed this Behind The Fourth Wall peek into the inner secrets of the Gardens of Equestria! Now if you’ll excuse me, I have a Fourth Wall to fix.